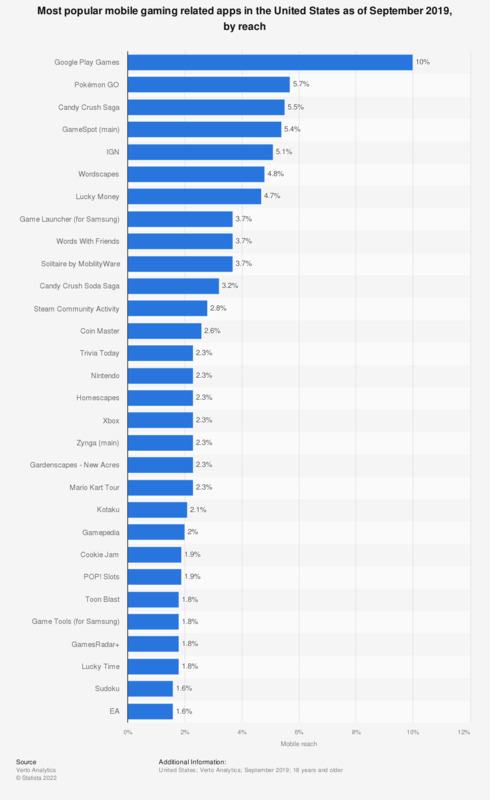 This statistic gives information on the most popular mobile gaming related apps in the United States as of October 2018, ranked by mobile reach. During that month, 4.2 percent of mobile users accessed the Words With Friends game. Candy Crush Saga had a mobile audience reach of 6.7 percent among mobile U.S. audiences. Data was gathered from 20,000 U.S. panelists that own multiple devices.